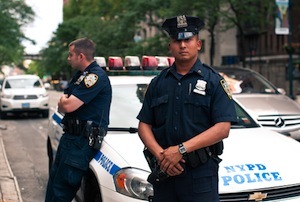 A recent report released by the Civilian Complaint Review Board has revealed numerous cases where NYPD officers have made verifiably false statements. In 2014, according to the CCRB, there were 26 cases where evidence showed that NYPD officers gave false statements. An increase in video and audio recording taken by members of the public has helped to hold officers accountable for making these false statements. In one case, an officer drew his weapon and aimed a racial slur at a civilian. The officer denied using a racial slur, but later admitted to it after watching a video of the encounter. In another case, an NYPD officer made a statement denying that he pushed a man in handcuffs, claiming instead that the man had tripped. However, investigators subsequently discovered a video showing that the officer did in fact push the man while he was handcuffed. These cases constitute a double-whammy of police misconduct - Not only did the NYPD officers act illegally, in making racial slurs and using excessive force, but they also made false statements in an attempt to cover-up their misconduct. Where a person is prosecuted as a result of an officer’s false statement, that person has been denied their right to a fair trial and can bring a lawsuit against that police officer. If you have been unfairly prosecuted as a result of an officer’s false statement, or you have been the victim of any form of police misconduct, then you should contact the attorneys at PetersonDelleCave LLP.